Early hammocks appeared in Central and South America centuries ago, adapted by sailors in the 16th century to fit more crew members in smaller or less protected spaces (as in, on wide-open decks). The modern version, a symbol of summer and the leisurely life, is descended from sea-going versions Christopher Columbus introduced to Europe upon his return. As with nautical versions, the camping hammock fits sleeping situation that defeat cots, ground pads and even enclosed tents. Their light weight and adaptability to a variety of body types make them more universal than many sleep systems. And claustrophic campers find a nurturing hug of fabric that replaces a constrained interior environment (in most cases, that is). Active Junky’s watched the metamorphosis of the category from camo cocoons used by hunters, many of them military veterans, to a growing movement of weekend explorers. Even in the last three years, the physical ability to suspend comfortable structures without trauma to trees has vastly improved. 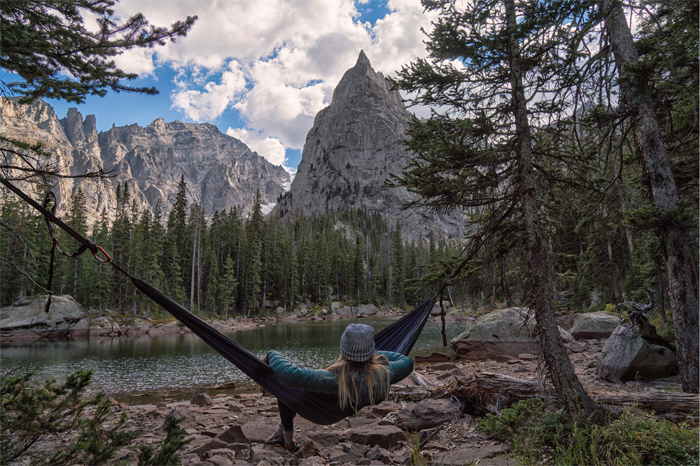 What’s more, the willingness to find and pitch a hammock has grown far beyond gram-conscious through-hikers and volume-obsessive bikepackers. By design, the testing conditions mirrored those of most beginning hammock campers, with temperatures at night above freezing. In addition, wind speeds were (mostly) under 30mph and anchoring trees within 8’ to 10’ of each with few limbs below 6’. Ground conditions underneath ranged from level, loamy and leaf-covered to rocky and off-camber such that hammock entry (and exit) was a minor challenge. 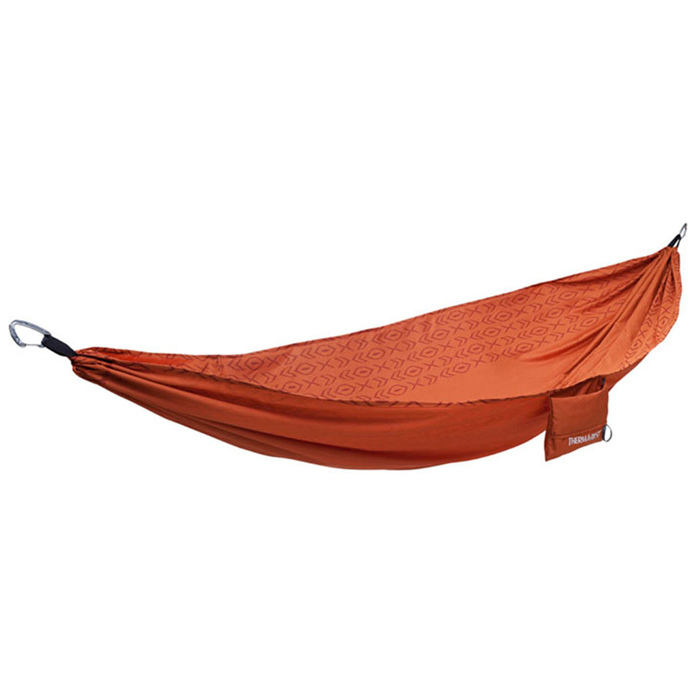 Rather than simply reviewing the hammocks themselves, this Buyer’s Guide includes both interior hammock-specific pads as well as selected sleeping bags (standouts on their own) that, all together, create a sleeping system. With several options in each product category, the airborne camper can combine one or more new models with their existing gear to personalize their new wilderness nest. 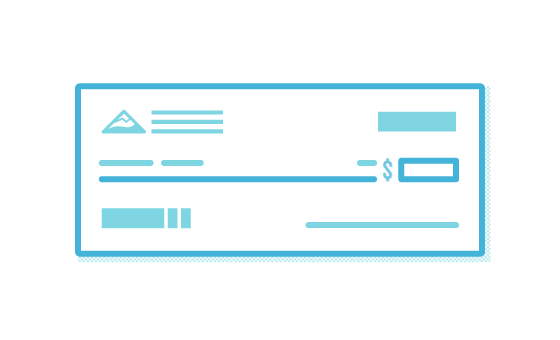 Unstoppable, lightweight and solidly priced, there’s no reason not to elevate your expectations. And start hammock camping right away. 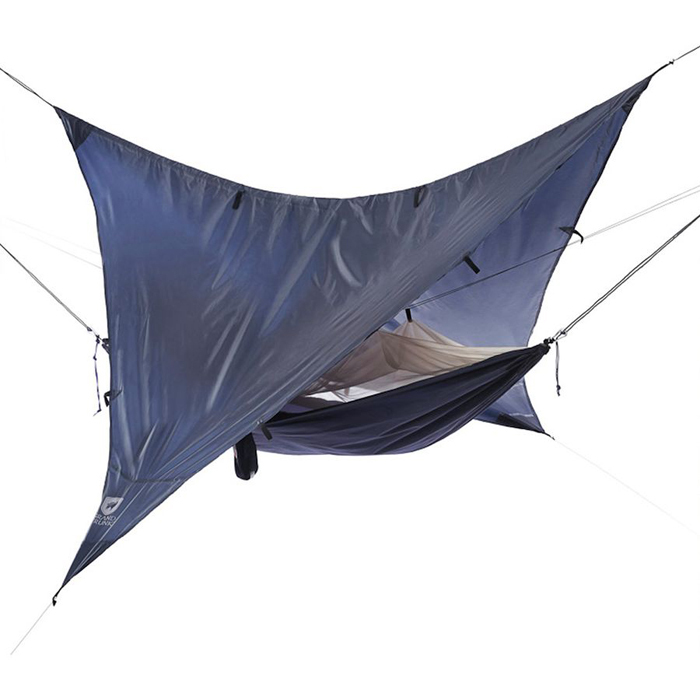 This one works for tent camping as well, but soared when slid into nearly any hammock we reviewed. 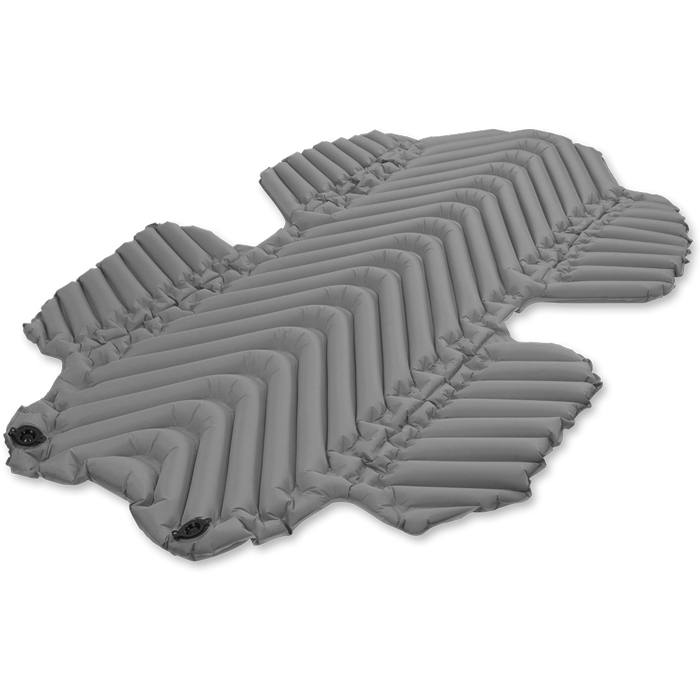 While not hammock-specific, this down-warmed wrap is agile, effective and pure fun. Sometimes, a name equals a destiny. Residential and vacation hammocks often use wooden bars, drilled through to string cotton, hemp or poly cords, as a way of adding more structure. Here, the flatter surface makes it easy for children and adults to use the same hammock for relaxation and naps. As they provide no side barriers to prevent slipping off, they make for poor overnight camping. Absent spreader bars, the ends of a hammock bunch together to create the cocoon shape. While hard to enter (cross-wise from the middle), they’re more difficult to accidentally exist in a high wind or during the night. As they serve as troughs for precipitation, they’re more vulnerable to bad weather when strung up without a top tarp. As the stars wheel across the cosmos, the open hammock dweller takes in the spectacle (with a few branches to interrupt the continuum). The night air penetrates deeply as breezes ply the trees with the scents and sounds of nature. While the occasional stick or leaf wafts into the open-topped enclosure, there’s little reason for worry. 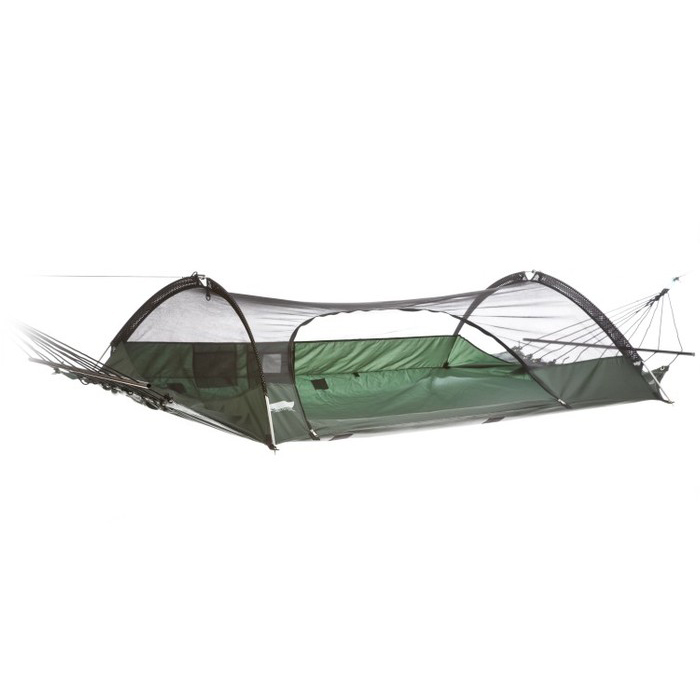 Enter enclosed structures that employ either integrated bug screens and tarp tops or which are assembled by the camper to supplement their basis hammock. Insects are a common nuisance, one that, unlike rodents and snakes, can’t be abandoned simply by elevating the sleeping platform. While air movement may be better off the ground, there’s no dodging biting and blood-hungry ticks and mosquitos without fully-enclosed hammocks. The same applies to rain and wind, even though there’s less concern about sleeping where torrential rains form small lakes and rivers on the ground. Except for larger, two-person hammocks (when occupied by one sleeper), there’s little room for sharp and bulky gear inside the hammock. As such, backpacks, bike panniers, canoe paddles and raft dry bags need to be secured elsewhere. 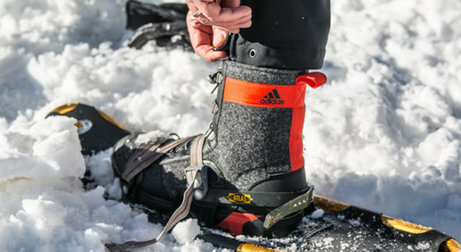 Extra clothing can be incorporated as padding but stoves and fuel bottles make poor pillows. First-time hammock campers often fail to account for wildlife threats, the ones promoted by keeping food too close at hand. In bear country, hoisting or suspending food bags can’t be compromised. Nor is it a good idea to snuggle into the hammock with a midnight snack of trail mix or chocolate. Sleeping in a hammock is an uncommon experience. 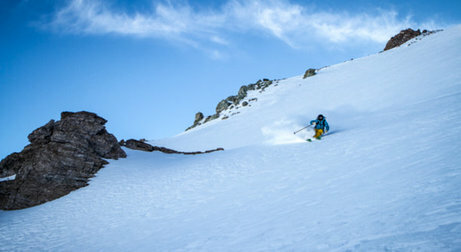 Given the relative inability to shift around during the night, Active Junky recommends starting with single-person models as tested for this Buyer’s Guide. 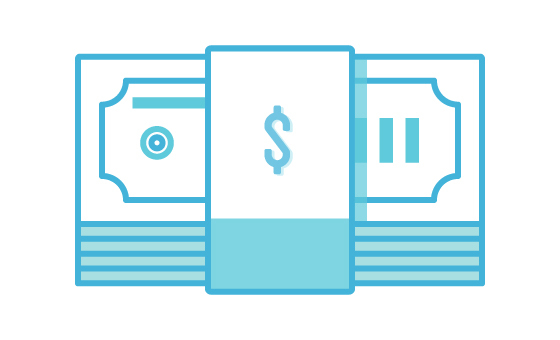 Not only is finding a suitable position easier. Temperature management is far easier for each camper when sleeping alone. 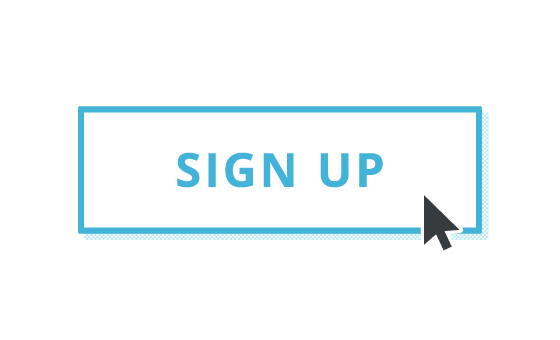 In addition, the flexibility to travel solo (caution, friends) or in groups (recommended) increases. Being able to spread campers out across an area to reduce environmental impact and encourage individual reflection both are positives to this approach. Finally, packed loads can be distributed more evenly when multiple, one-person systems are carried. A few brands offer models that competently move from being suspended to being deployed on the ground. Here, the tree (or pole) geometry is of less consequence, making the search less frantic particularly when arriving into camp after dark. On the negative side, these products are heavier and require carrying stakes (for guylines) in addition to straps (for tree connections). 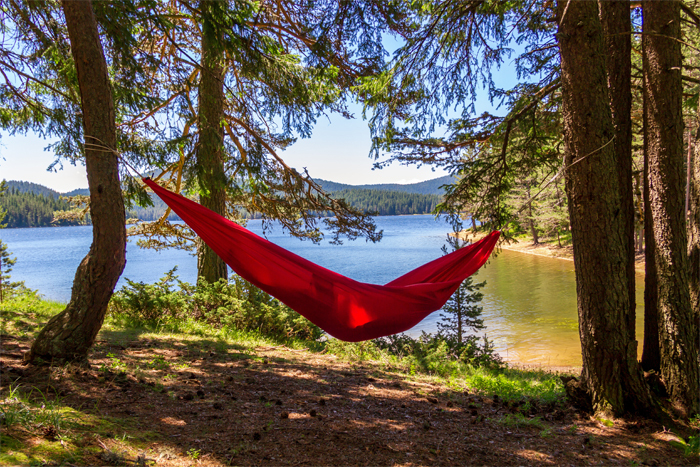 In any case, most hammocks are sold without tree attachment slings. This is because requirements and personal preferences vary and slings may need regular replacement (because of wear, tree sap or loss). 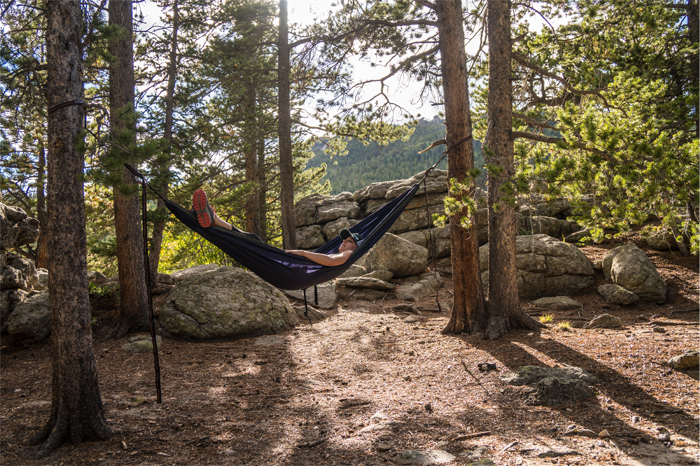 Monitoring the hammock itself for wear is essential as seam failure and fabric abrasion are causes for repair or recycling the large piece of fabric that comprise a hammock. 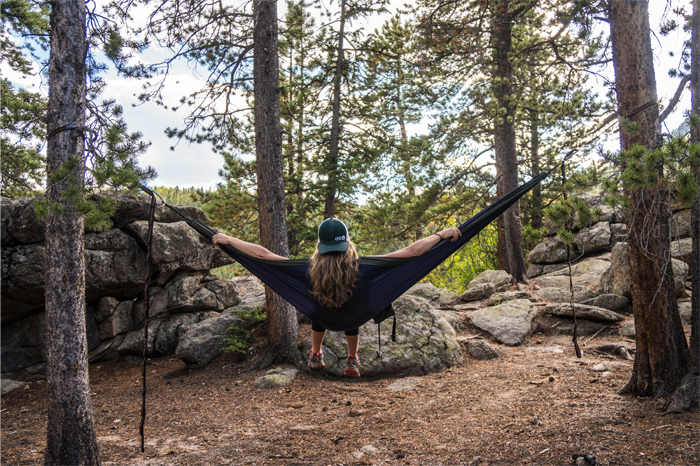 While all five of these elements are present in the hammocks and compatible sleep systems reviewed (including pads and sleeping bags), each product brings a dominant attribute. 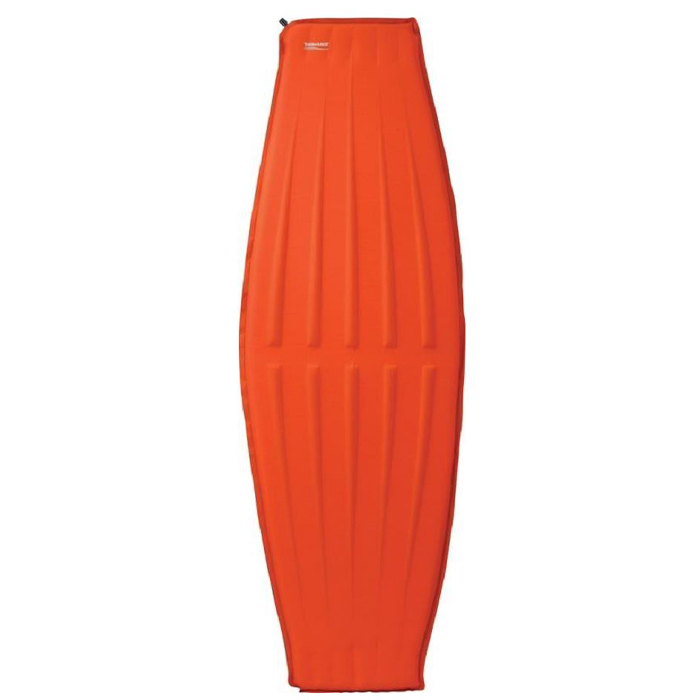 This is noted in reviews as the “Key Attribute” to aid comparison and address the preferences of individual campers. An intuitive and easy-to-set-up hammock, the Therm-a-Rest Slacker is a comfortable model, and a good first model for those new to the joys of hammock camping. No-seam design makes for an extra comfortable night’s sleep. A lightweight model that offers a 400lb capacity, the ENO DoubleNest is big enough for two to enjoy a restful afternoon in the backyard yet compact enough for backpacking or bikepacking adventures. This Grand Trunk model is roomy enough for tall sleepers, up to 6’5” and 250lbs, while only weighing in at 3lbs, making is a great choice for packing around on trekking, paddling or pedaling trips. 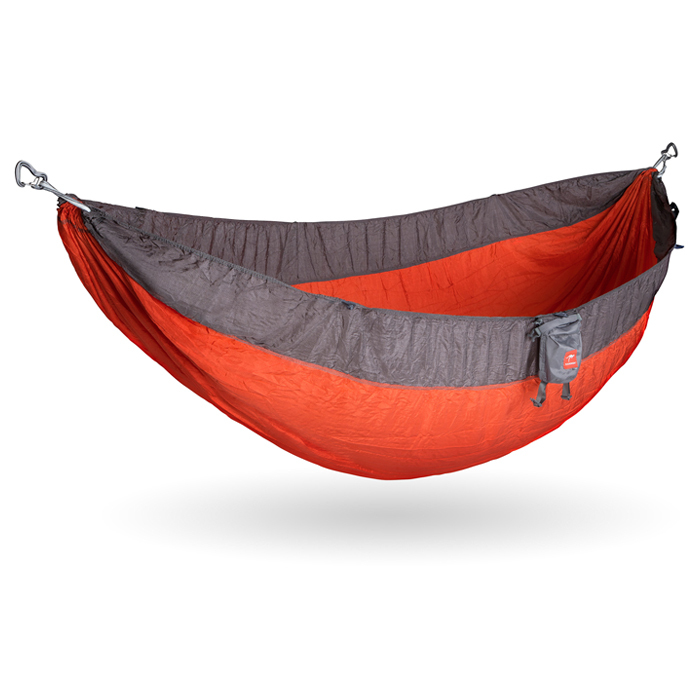 The Lawson Hammock employs spread bars that create a flatter surface for sleeping compared to other models that cradle your frame. This model can be suspended from trees or doubles as a ground tent, adding versatility should no suitable trees be available. 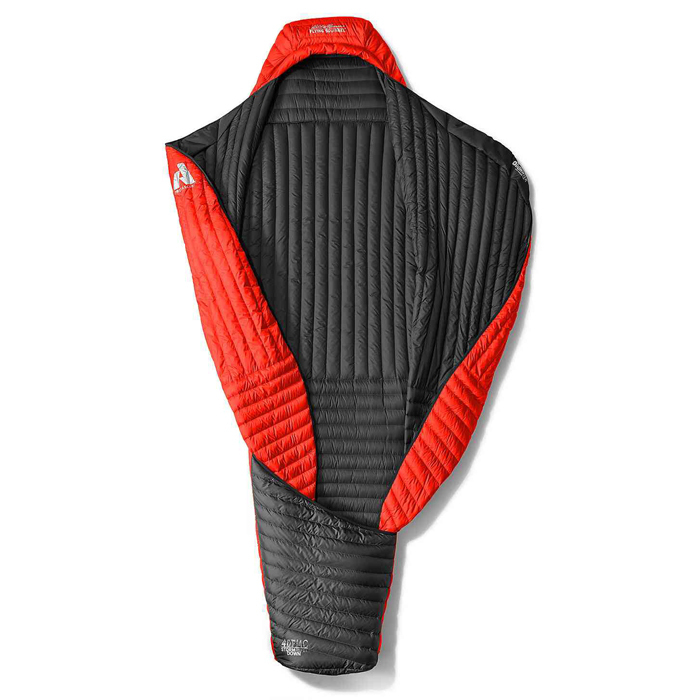 This hammock pad uses Klymit’s body-mapping technology to add support and stability where it most matters, and shaving weight and material where it isn’t needed. 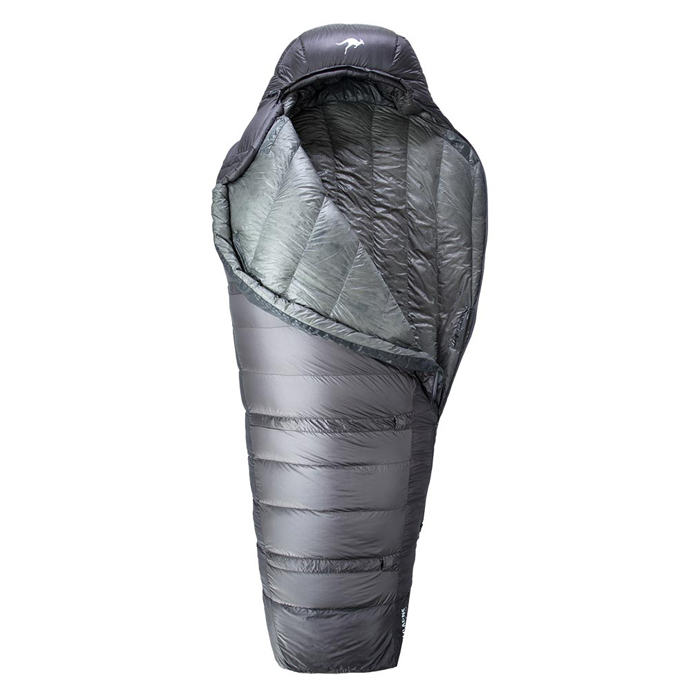 The body-wrapping design cradles and protects on especially cold nights. 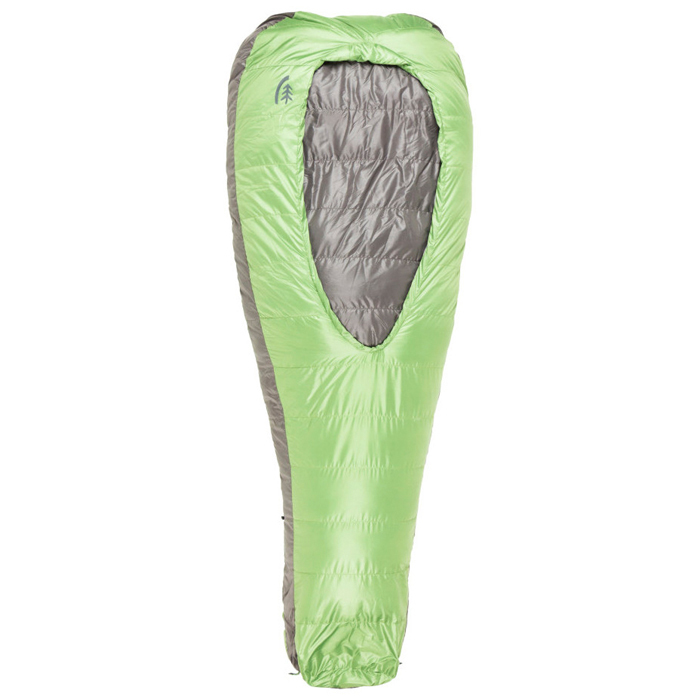 This 30-degree bag includes customization with bag, liner and liner insert, allowing for comfortable three-season camping in either hammock or tent for sleepers up to 6’4”. 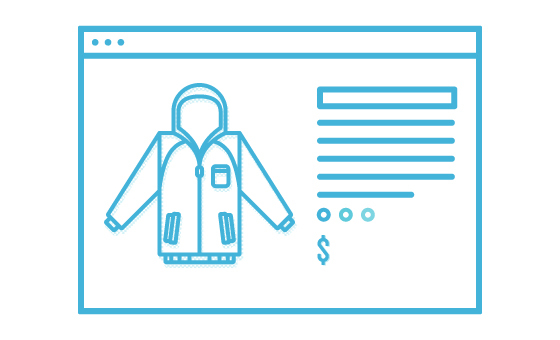 The hood design keeps in head-heat while being spacious enough to layer a beanie if needed. 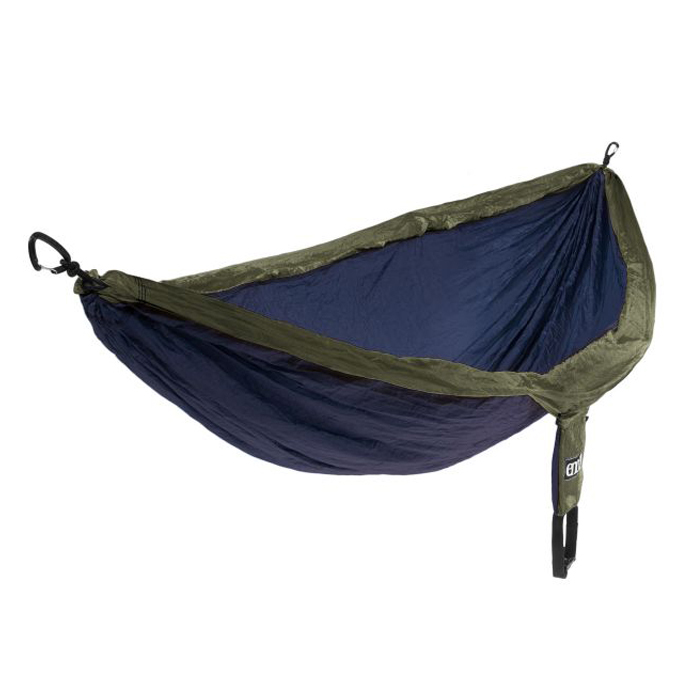 Slipping into this bag paired with a cradling hammock creates a true nested sensation with treated down to protect against moisture and comfortable sleeping down to 28 degrees. Choose regular for up to 6’ sleepers, or long up to 6’6”.